Miriam is the Director for Moreton Group Solution. In this role Miriam has the privilege of working closely with a number of Tasmanian and National organisations to deliver innovative solutions to address barriers and issues inhibiting the organisations growth. Miriam holds a Master of Business Administration and a Master of Commerce from Deakin University and is a member of the Chartered Institute of Procurement and Supply. 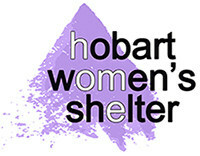 Miriam cherishes the opportunity to advocate for the advancement of women through her proud association with the Hobart Women’s Shelter. Liz is currently Chair of Tasmanian Electoral Commission and a Board Member of the Integrity Commission, the Public Trustee and the Local Government Board. Most of her working life has been in the public sector. During her time in the Tasmanian State Service, she held the positions of Deputy Director of the Local Government Office and the Office of Status of Women. The latter part of her career was with local government, working in policy development at the Local Government Association of Tasmania. In 2017 she was awarded for service to government. Anita is a partner with Private Deloitte and has over 20 years’ experience in providing accounting, taxation and business advisory services. Anita is passionate about working with her clients to support them in their business' growth agendas, placing a strong emphasis on meeting client requirements and walking in their shoes to ensure success and growth. Anita’s, diverse experience has been gained through working closely with clients from all industry sectors. From direct contact with decision makers in the Not for Profit arena to Mum and Dad local business, Anita pride’s herself on caring. In addition to this Anita, has gained additional insights into running business’s through having her own practice prior to joining Deloitte and owning other business operations. Anita not only understands the value of client relationships, but realises the importance of mentoring staff to achieve their career goals. The bringing together of like-minded people to achieve great results, whilst developing all those involved is essential in working in today’s market.. Recently, Anita has found it refreshing to take the new offering of Deloitte Private Connect to clients, revolutionising the landscape for business, further enhancing outcomes for clients in this space. Being at the forefront of cloud based accounting applications and technology delivers excitement to the accounting realm and is key to seamless interaction in a fast paced business environment. Anita has strong networks within the wider Deloitte Partnership and utilises the breadth of all offerings to bring the best to her clients. Elizabeth was appointed to the Board of Management in 2011. Having obtained a Bachelor of Arts/Law from the University of Tasmania, Elizabeth was admitted as a practitioner of the Supreme Court in 2005. For the past ten years she have been employed by Tasmania Police, specialising in Safe at Home prosecutions. As an advocate for those affected by family violence Elizabeth joined the Board to promote the advancement of the rights of women and children in this area. Mary Anne is a barrister at Derwent & Tamar Chambers, practicing in the areas of family law, relationships law, child protection and guardianship law. Mary Anne also undertakes work as an Independent Children’s Lawyer. She came into law having spent many years as a registered nurse. Mary Anne has been a member of the Board since 2009 and Chairperson since 2014. She is married with two adult children and a chocolate labradoodle. Reshma’s portfolio on the Board is as their cultural diversity member. Reshma has a keen interest in people from different cultural backgrounds. She has great empathy for women and children who have suffered hardship. Reshma holds a Bachelor of Commerce from University of Tasmania and Master of Taxation from University of NSW. Additionally Reshma graduated from Postgraduate course in Education specialising in Teaching English as a Second Language. Reshma was an Adjunct Principal Lecturer for Fiji National University in the area of Taxation. Reshma has also lectured at University of Fiji in the area of Law (Contract, Torts and Company) and in the area of Taxation to second and final year students. In the past Reshma has served as Director for Connect Financial, Board Member for Hobart College Council, Deputy Chair for Fiji Australia Association, Committee member for the Association of Non-English Speaking Background Women of Australia, Woodfield Lodge Incorporated and the Federation of Ethnic Communities Council of Australia. Her interest in assisting women emerged through her work with recently arrived migrant women who needed assistance with finding their way into the community and accessing relevant Government bodies and services. Reshma remains passionate about assisting women and children who are vulnerable for any reason. Rebecca is currently a Service Support Officer in International Services area in Department of Human Services, interacting daily with people from culturally and socially diverse backgrounds. She has lived with a significant hearing impairment since a young age, and offers insight into the challenges faced by those with a disability. She is studying psychology at the University of New England. Rebecca is passionate about social justice and equality, especially for women and girls, and being a member of the board allows her to contribute meaningfully to these issues. Keirran joined The Fuji Xerox Business Centre in 1995 and purchased the Company in 2001. Keirran was the youngest Fuji Xerox Dealer in the History of Xerox. Xerox’s faith in the appointment was soon justified. Under Keirran’s leadership the Tasmanian dealership has been awarded with 38 national awards for excellence and growth since. It’s from a customer first mantra that has enabled the Tasmanian Dealership to be named the Number 1 Service Operation in Australia for 7 out of the last 9 years and has created a brand loyalty that is second to none. Keirran together with his team have secured strong relationships with some of Tasmania’s leading businesses both in the private and public sectors. Keirran currently employs 46 staff across the state and under his leadership they are all committed to engage in best practice. It’s this commitment that has enabled the business to consistently grow and develop to become the industry leader in Tasmania. Keirran’s passion for business, his team and clients and the community is infectious and dynamic this intern flows through the whole business. He is always innovative in creating ways to make real change for communities both in Australia and overseas. Keirran has recently funded the building of a new school in the highlands of Bali, Indonesia. This school is also voluntarily supported by donations for each and every staff member employed by Keirran at Fuji Xerox Tasmania. Keirran is a white Ribbon Ambassador and public speaker he also is currently having the Company White Ribbon Accredited. Victoria is an experienced human resources professional with over 25 years’ experience. She has worked in a diverse range of industry sectors; resources, health, manufacturing and utilities both in Australia and overseas. She is experienced in leading cultural change, organisational design, managing talent and developing individual and organisational capability. Victoria is passionate about contributing to the creation of work environments that offer value for both the employee and the employer. She holds a Bachelor of Arts degree and Masters of Business Administration. Carolyn is a consultant with Canberra-based research firm, Rapid Context, which assists public and private sector clients to create positive cultural change. Carolyn moved to the Huon Valley in early 2017 and lives with her partner and young daughter (plus collie and chickens) on a small acreage. Carolyn was previously a career diplomat with the Department of Foreign Affairs and Trade. Her most recent posting was as Counsellor (Trade and Economic) in Brussels (2010-13). She also had postings in Paris and Brasilia. Carolyn joined the board in June 2018.